15-Passenger Van accidents happen more often than they should. It’s likely that there’s over 500,000 of these vans in the United States on the road today. 15-Passenger Vans were first developed in the 1970’s as an alternative to buses so that smaller groups of people could travel together. Rather than using buses to cart around smaller groups, many types of businesses turned to these larger vans for transporting their patrons. 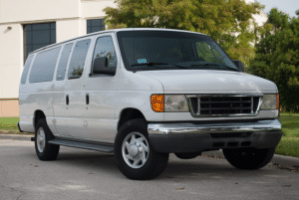 For many organizations like day-cares, churches, airports, nursing homes, schools, even the US Army – the 15-Passenger Vans are convenient. However, their convenience was soon in question when looking at the serious dangers they presented. Over time, issues with tire performance and propensity to roll over in an accident became a big safety concern. 15-Passenger Van accidents happen more often than they should. Every year, there are accidents involving 15-Passenger Vans, many of the crashes ending with serious injuries and fatalities.